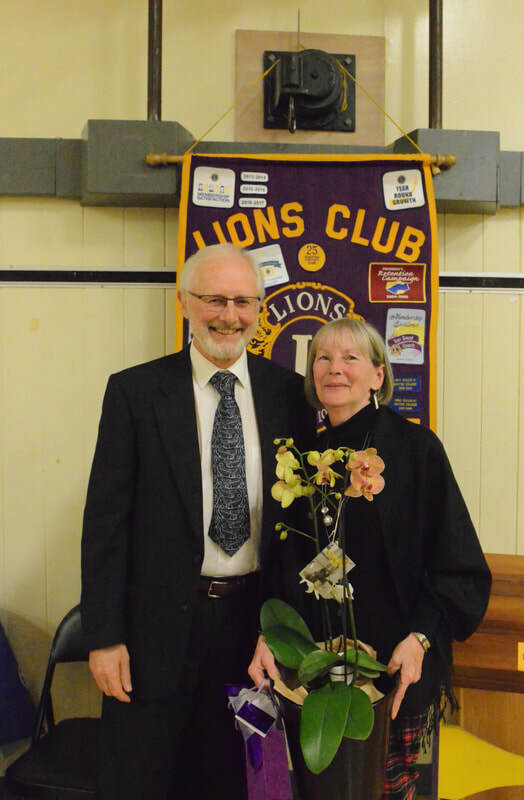 The Mayne Island Lions Club was chartered on November 3rd, 1971. Every year on the Best Saturday night in November we celebrate our beginning as a Lions Club. 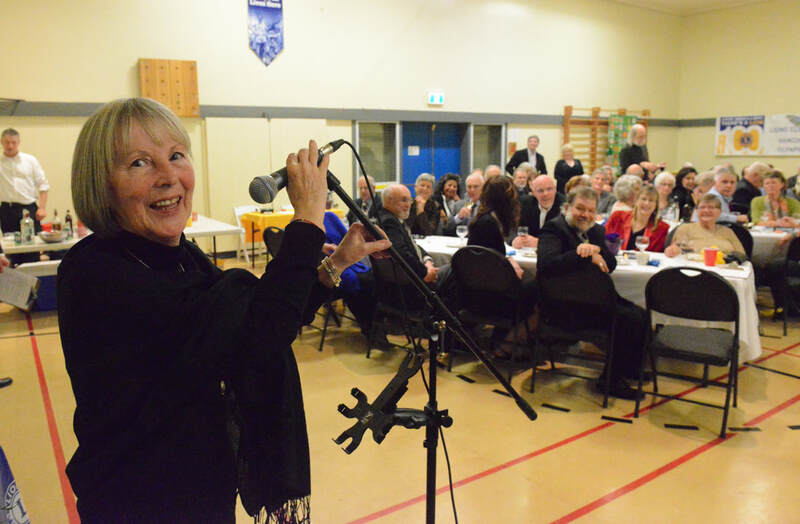 Charter Night Tickets for the Public -- This year, 2018, we celebrate Charter Night on November 17th in the Mayne Island school gymnasium. Tickets may be purchased, in person, at Home Hardware, OR, ordered by phone at 250-539-9876, OR, by e-mail from af15tbs@shaw.ca . 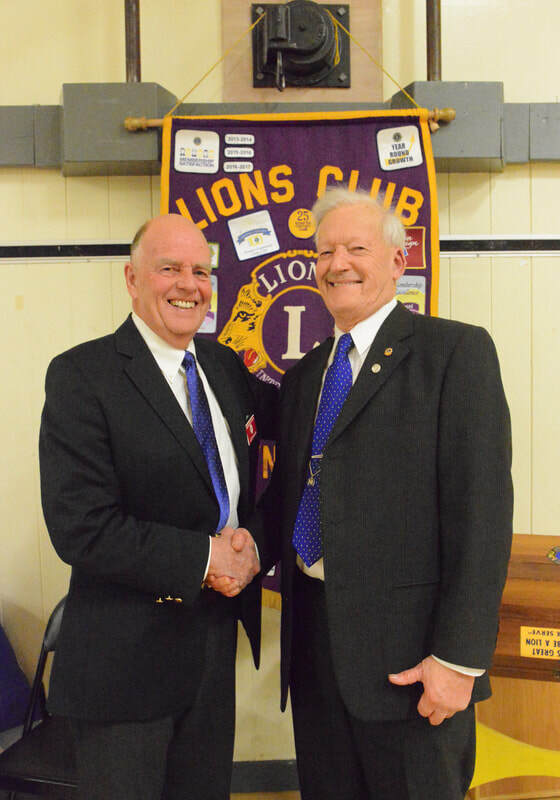 Tickets for Lion Club members can also be purchased at the General Meeting, Wed. Nov.7th, at the Ag Hall. 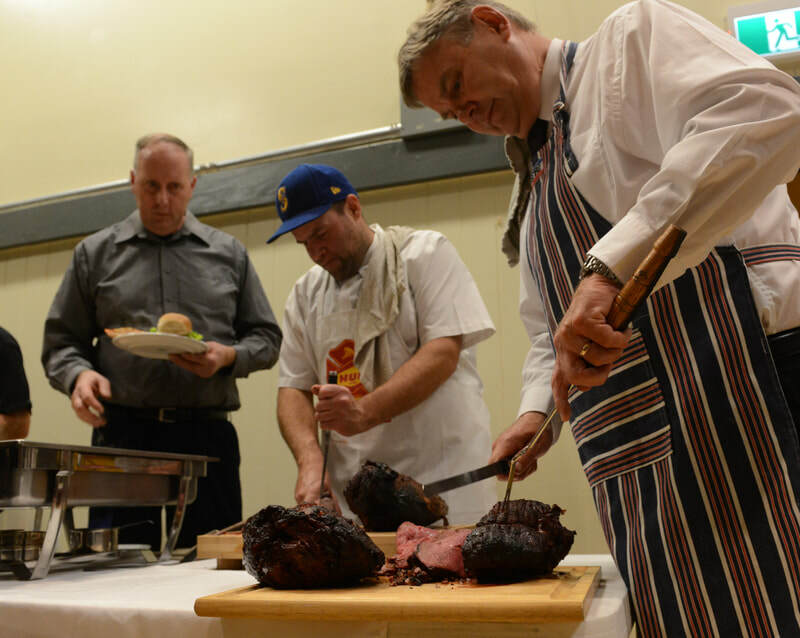 Lions are given first dibs on tickets then the event is open to the public. 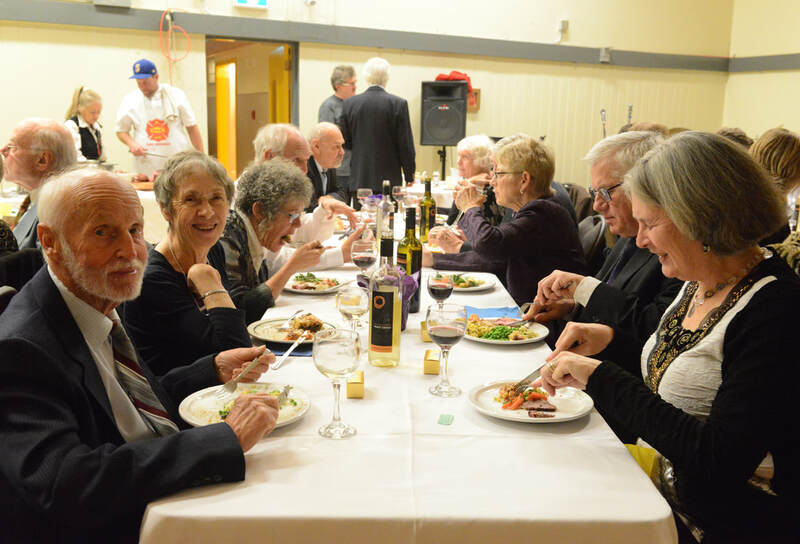 A great evening with catered dinner, entertainment, presentation of Mayne Islander of the Year, music and dancing. 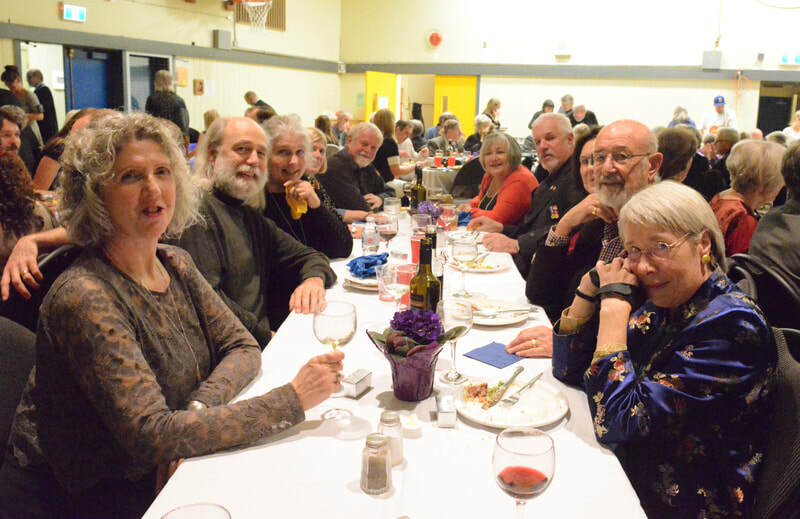 Please join us as, Like Lions Clubs everywhere, the Mayne Island Lions Club celebrates the anniversary of its charter with a dinner and dance. 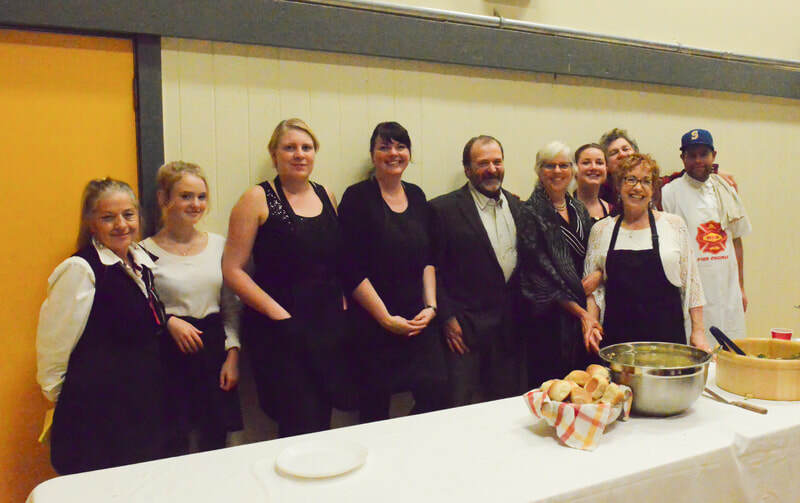 The dinner and dance at the Mayne Island School gymnasium opens its doors shortly before 6 p.m. and catered dinner is served at 7:00. Read the list of our founding members in 1971. 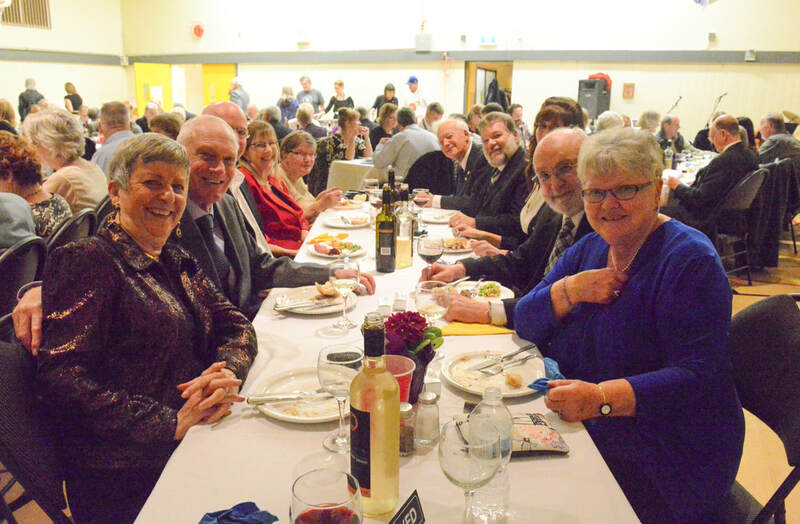 More Charter Night photos - click here. 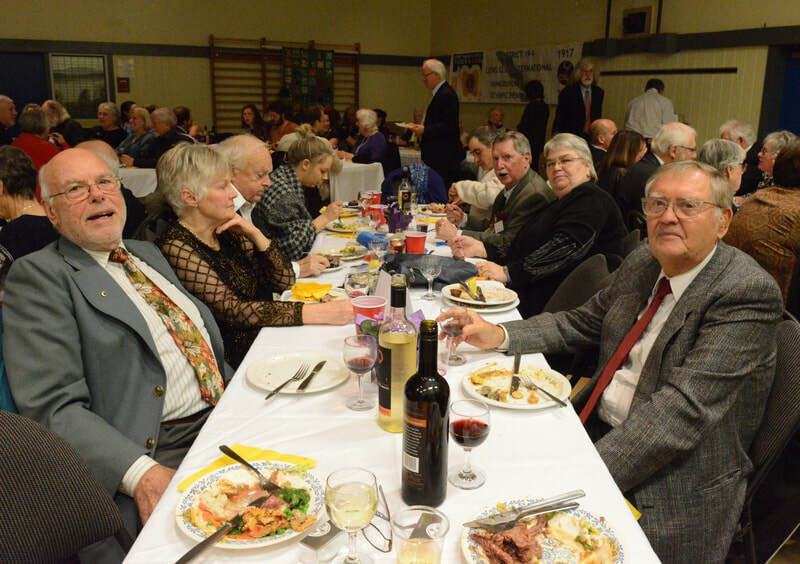 CHARTER NIGHT 2018 -- MARK YOUR CALENDARS FOR NOVEMBER 17TH. 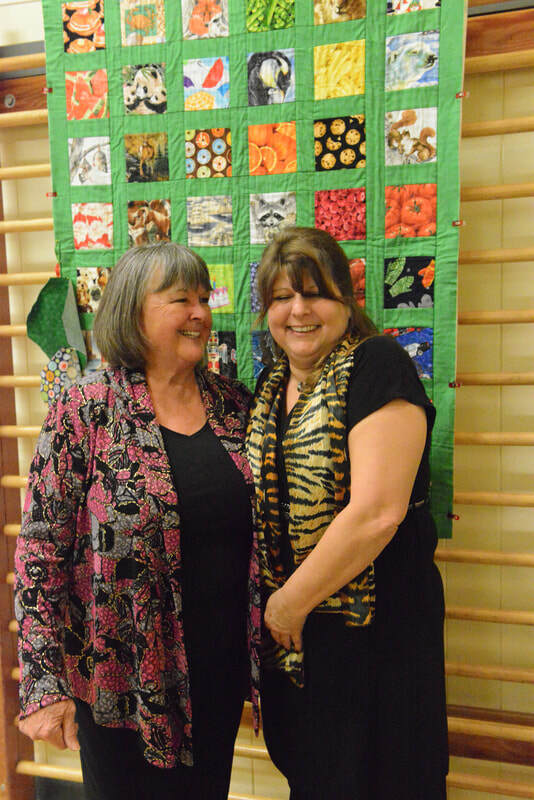 A member of the Mayne Island Quilters Guild, Bonnie Simmonds, was so impressed with the 2017 fund raiser special auction of a quilt that she decided to create a children's quilt for this year to be the prize from a raffle at the Charter Night Dinner. The motif of Bonnie's quilt is based on the children's game "I SPY WITH MY LITTLE EYE, SOMETHING THAT IS...….." Here is an image of that quilt to get your ticket buying hopes up. Well, we thought it was going to be hard to beat Charter Night 2017 but those industrious lions did it again! The attendance was outstanding -- SOLD OUT! 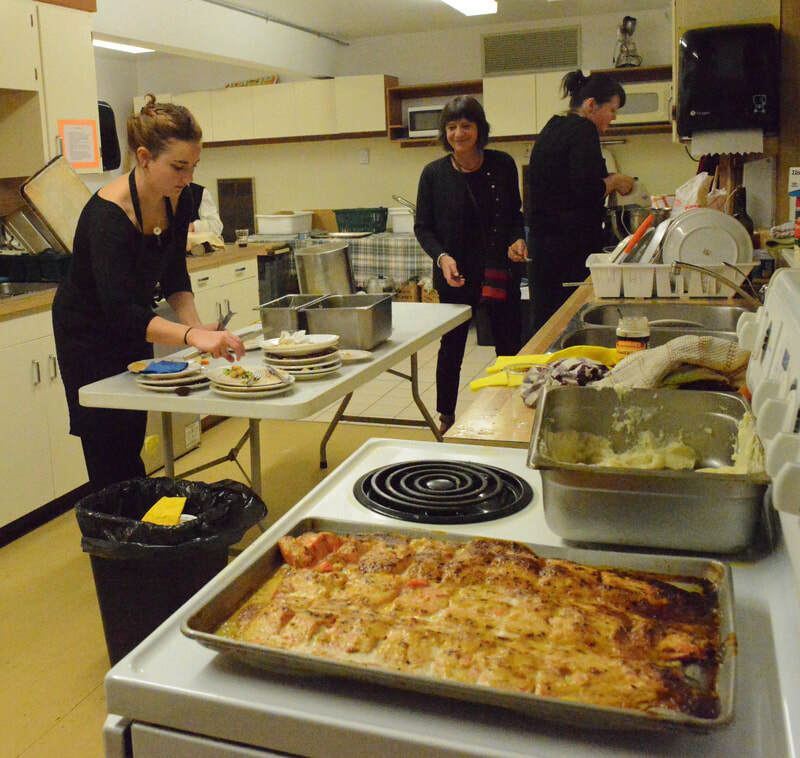 -- The food was excellent with a bevy of cooks and kitchen elves doing their thing. As usual the bar was well attended with complimentary wine on every table and surprise goodies of the chocolate kind. Conversation and camaraderie was of course the real attraction to this event and this night was a classic example of how Mayne islanders like to mix and mingle. 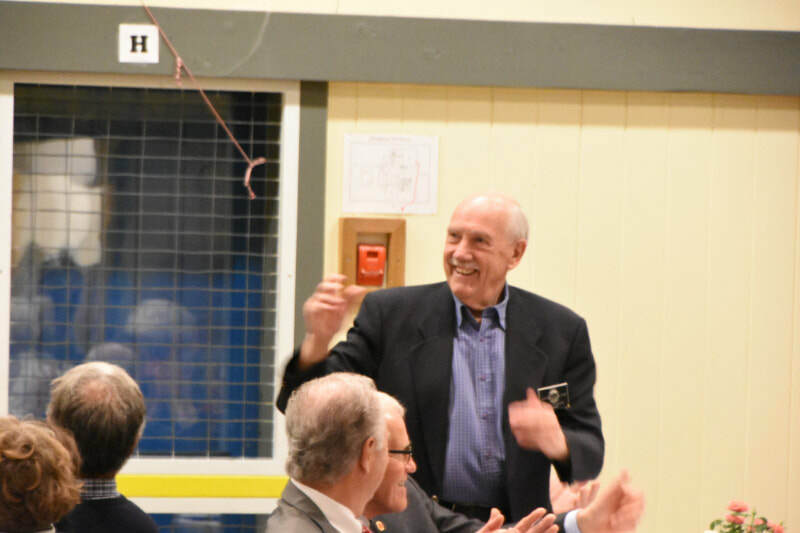 Our MC for the evening Allen Guy was given a special mention in that he has been appointed the Mayne Island Lions Club "Vice-President Emeritus" for the duration of his tenure as a member of the Mayne Island lions. Our president, Allan Slade did the honours. Dave Chase did a superb job of keeping us in suspense as he enumerated the accomplishments of the chosen Mayne Islander of this year. 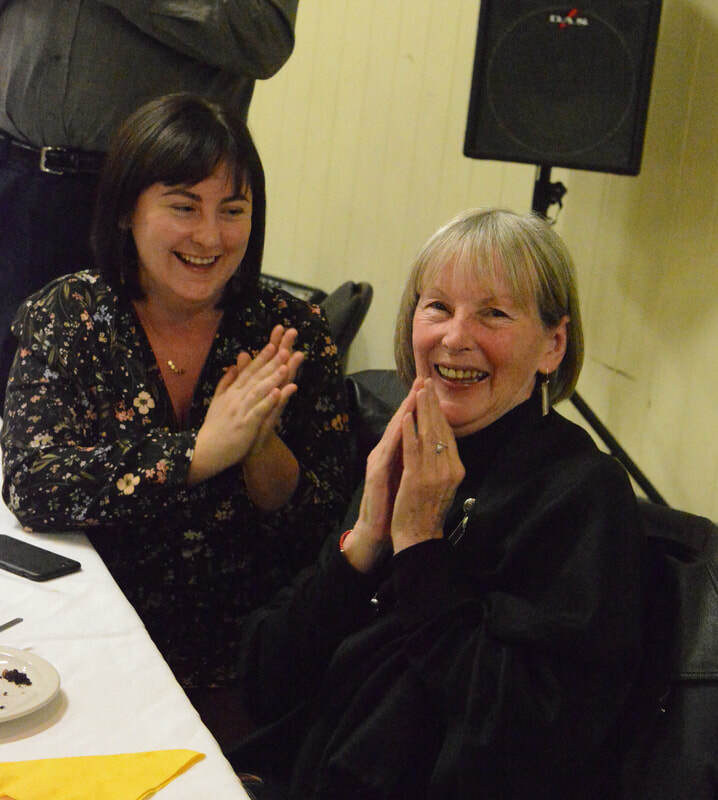 May McKenzie was pretty surprised and rightfully so since the lions are all sworn to secrecy even if we all knew in advance. 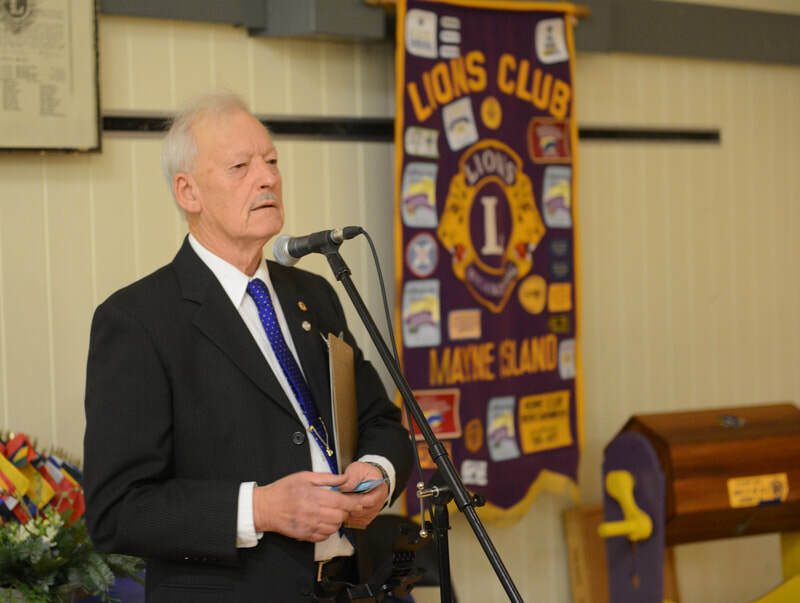 Brian Crumblehume, a past member of the lions, provided some background and very stirring remarks about what we do on this island community and across the breadth of Lions International. He highlighted the essential role that volunteerism plays in how we live and work together here on this rock called Mayne Island. If you need to know more about what we do -- Check out the rest of this web site under "Projects" and "Calendar". The 50-50 draw provided an opportunity for a lucky ticker holder to take half of the ticket proceeds and the "I Spy" quilt created by Bonnie Simmonds was won by Lauren Edwards, very timely indeed for an impending arrival of a new baby in her family. 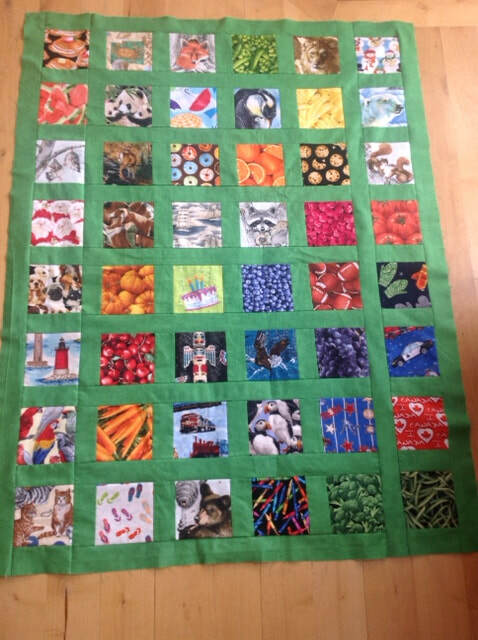 The tickets for this quilt raised in excess of $350.00 to be used to support the Days for Girls program that we lions, in collaboration with quilters on Mayne island, are very proud to be involved with. Great work Bonnie! To learn more about this project you can go to our project page for Days 4 Girls. The music! Well what a blast! 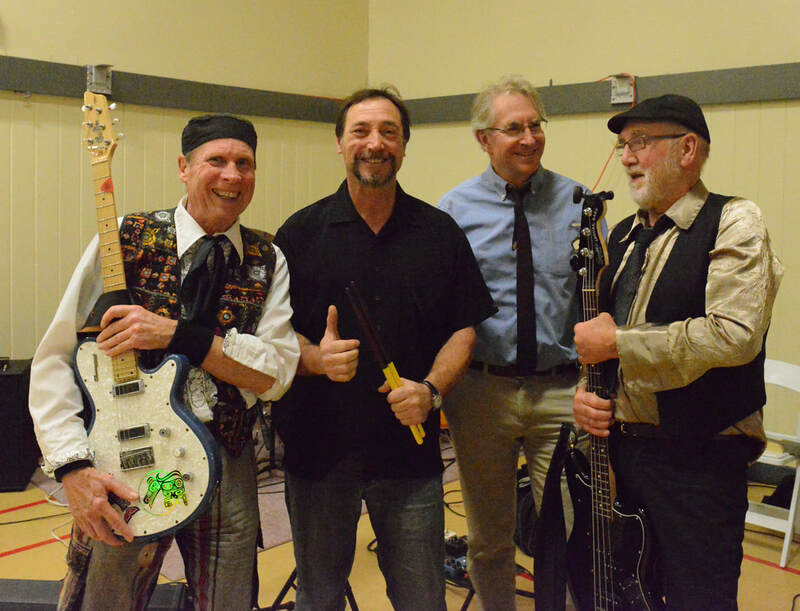 The band was a real "BENDER" (aka RUFUS ROCKHEAD) that kept most of us on our toes for a great party. Below you will find a sample of pictures taken by Toby Snelgrove before he resumed his spot in the band. 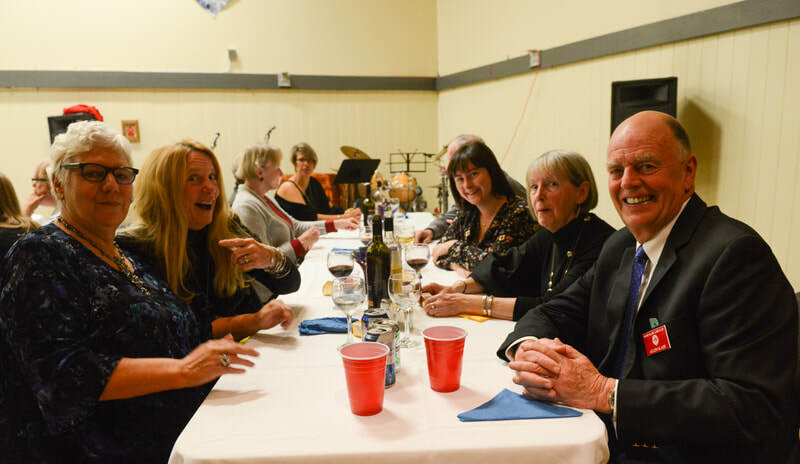 For a look at all of his pictures that night you can go to: https://tobysnelgrovephotography.smugmug.com/Mayne-Island/Lions-Charter-Night-2018/. 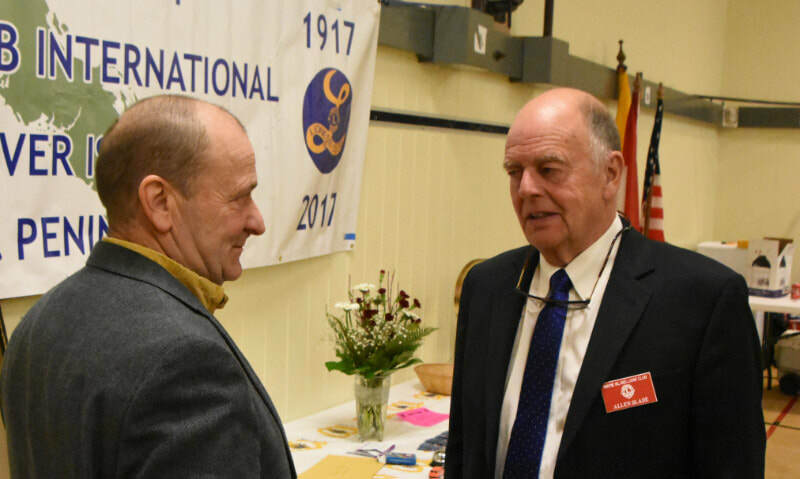 ​Charter Night 2017 was a great success. From a number of comments it seems to have been the best yet! 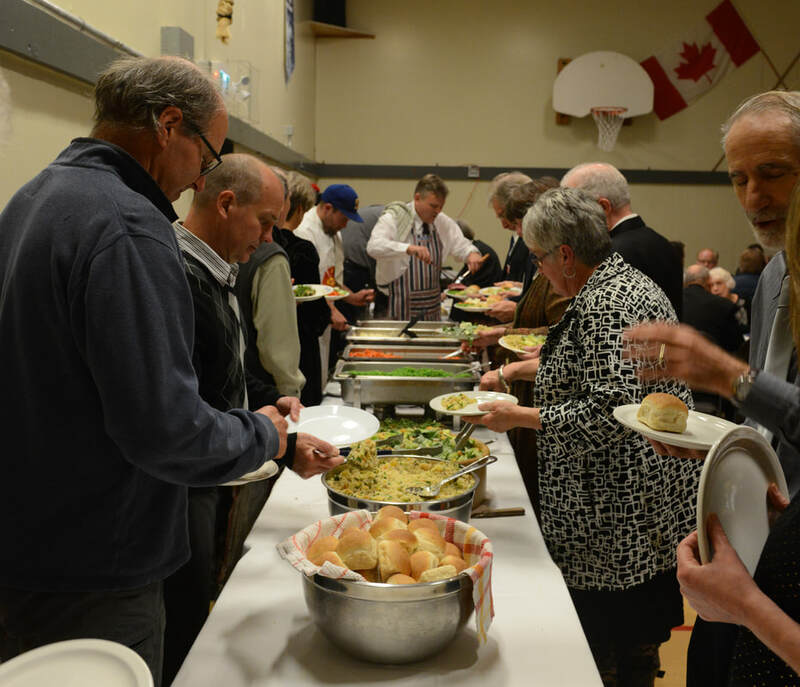 Many thanks to the volunteers, to the Kitchen staff and to all of the attendees that made this evening the success that it was. It was great to see Neil and Liz Howard again and to welcome our new priest among us, The Rev. Blair Haggart and his wife Jerry Ann. ​The Mayne Island Quilters Guild had a special auction for a personalized Quilt (won by Bill McCance and his wife) that raised $250.00 to support the Quilters Guild project "Days for Girls". Well done Quilters! 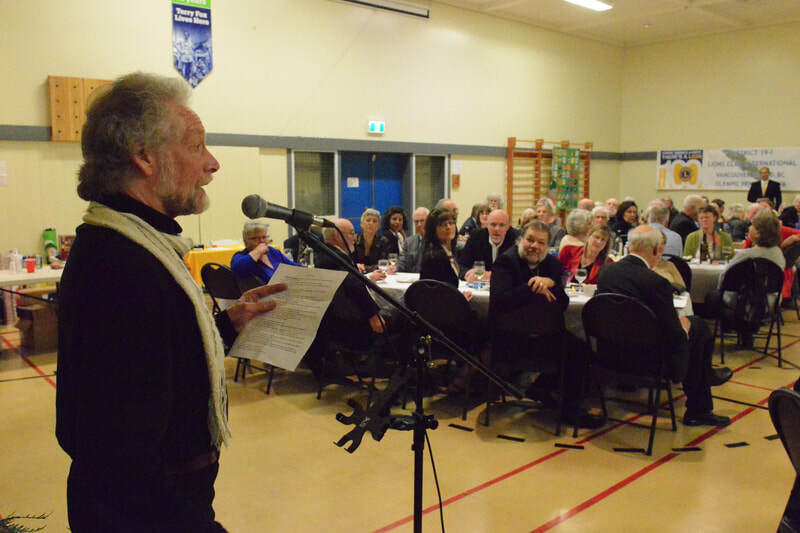 Bob Soper was the Auctioneer! Of special note was the award of the Mayne Islander of the Year to our dear departed Wayne Ming and his wife Coleen. A more formal presentation will be made at the Wayne Ming Day on December 9th at the Adachi pavilion. 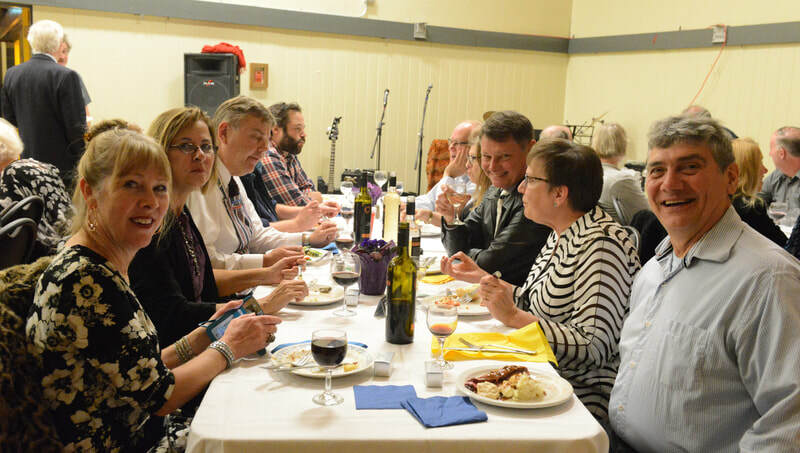 ​Here are a few pictures of the evening with thanks to Bill Warning and assistants.